International students should find increasing levels of investment in tertiary education to be a compelling reason to study in China. In 2012, China reached its target of spending 4 percent of GDP on education, while the number of colleges and universities has doubled in the last decade, now standing at around 2,900. The country’s current five-year plan, which extends to 2020, focuses on modernizing and strengthening its higher education system, with key initiatives such as Project 211, which aims to bring 100 Chinese universities up to a world-class standard, and Project 985, which aims to create an even more elite group of universities. Project 985 has resulted in the creation of the C9 league, which has ambitions of becoming something like the US Ivy League. 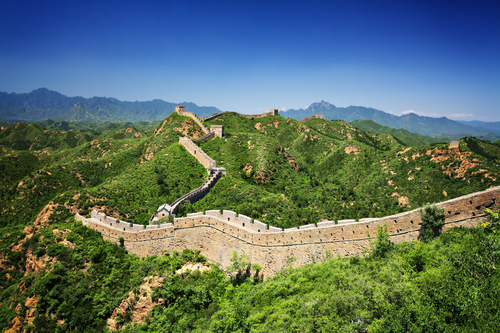 Want to be one of the many international students heading to China every year? Read on to find out more. China is the world’s biggest sender of international students, with 700,000 students studying abroad. China has 40 institutions ranked in the QS World University Rankings® 2019, including six in the global top 100, with 60 more top universities in China included in the new QS Mainland China Rankings. With the latest figures showing that nearly 490,000 international students were enrolled in Chinese universities in 2017 (10 percent more than in 2016), China seems certain of meeting its target of hosting 500,000 foreign students by 2020. Leading sending countries include South Korea, Thailand, Pakistan, the United States, India, Russia, Japan and Indonesia. These improved numbers are likely partly thanks to the Chinese government’s boosted scholarship scheme, with nearly 59,000 foreign students receiving a scholarship in 2017. (For a selection of these scholarship opportunities, see this article.) Another powerful draw for international students is the increasing number of English-taught programs, with the number available increasing by 63 percent in the last five years. Ranked 17th in the world and first in the Mainland China Ranking in 2019, Tsinghua University is in the Chinese capital of Beijing and is a member of the elite C9 League. Established in 1911, Tsinghua University now has a community of just over 46,000 students, including nearly 2,700 from outside of China. Looking at the most recent QS World University Rankings by Subject, Tsinghua University performs best for architecture, civil engineering, electrical engineering, mechanical engineering and materials sciences. For all three of these subjects, it’s ranked in the top 15 universities in the world. 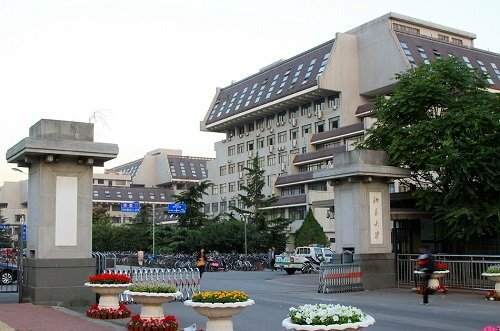 A consistent contender among the top universities in China, Peking University is a prestigious research university belonging to China’s C9 League. Established in 1898 and located in Beijing, Peking University admits a high number of international students every year and has maintained a partnership with Germany’s Freie Universität Berlin since 1981. As well as its leading academic offering, Peking University’s campus grounds are loved for their traditional Chinese architecture. Peking University is ranked 30th in the world and second in China and also ranks among the world’s best in many of the 48 subjects covered by the subject rankings, achieving top 20 positions for chemistry, dentistry, modern languages, linguistics, materials sciences and more. China’s third-best university according to the both the World University Rankings (for which it’s ranked 44th) and the Mainland China Rankings, Fudan University is spread across four campuses in Shanghai, one of the nation’s largest hubs of finance and trade. Another member of the C9 league and also currently ranked seventh in Asia, Fudan University has a current enrollment of just under 32,000 students and is known as one of China’s most selective schools. Featured among the world’s top universities in 30 subjects in 2018, Fudan University performs best for modern languages, chemistry, business & management, materials sciences and politics, for which it ranks among the top 50 worldwide. 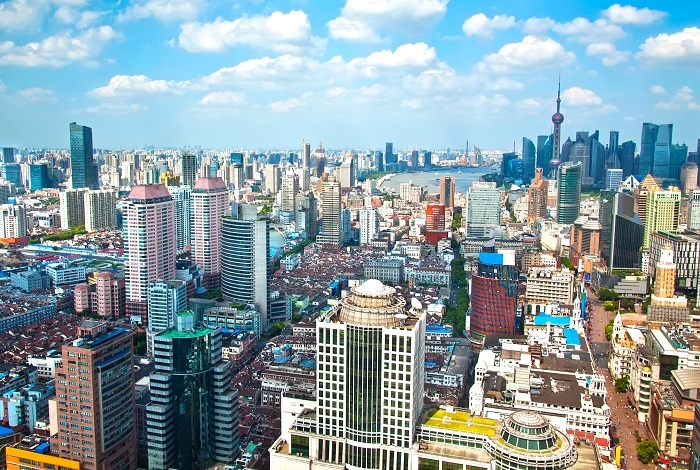 Beijing is one of the most populous cities in the world, home to over 24 million people. With plenty of nightspots and cultural attractions to choose from, international students certainly won’t have any difficulty finding opportunities to become immersed in local culture while practicing their Mandarin. For those not fluent in the language, many signs are written in English. Out of the 40 Chinese institutions featured in the QS World University Rankings 2019, nine are based in Beijing, the Chinese capital. 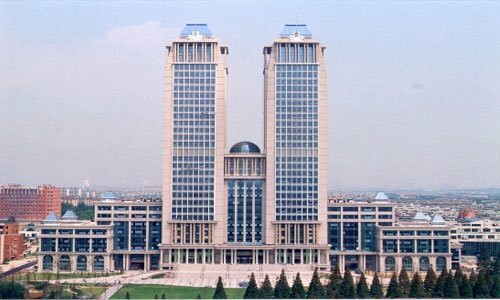 The highest ranked university in Beijing is Tsinghua University (ranked 17th in the world) which offers a selection of master’s programs in English, while Peking University is second (30th in the world) and aims to increase the number of programs taught in English in order to attract more international students. The university is also accepting more students through the Confucius Institute Scholarship Program, which aims to promote Chinese language and culture around the world. 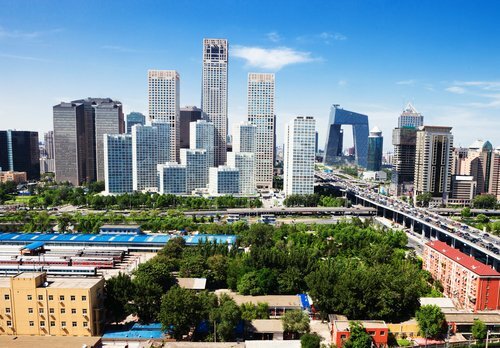 Although Shanghai is considered the most expensive Chinese city to live in, this also means it’s where many of the jobs are, which may make it attractive for those hoping to find a part-time job during studies, or full-time employment after graduation. Homesick international students in Shanghai can visit one of the “copycat” towns in the suburbs around the city to get a fix of their own culture. These include Spanish, British, Scandinavian, Canadian, Dutch, Italian and German settlements. Perhaps the best known is Thames Town, an eerily quiet English replica complete with cobbled streets, old English pubs and a statue of Sir Winston Churchill… all labeled with Chinese signs. The three top universities in Shanghai to feature in this year’s rankings are: Fudan University (ranked 44th); Shanghai Jiao Tong University (joint 59th); and Tongji University (291st). The first two are in the C9 league of elite universities, indicating that China’s ambition of creating something like a US Ivy League is showing results. Xi'an is one of the oldest cities in China, with enough precious relics and historical sites to keep history devotees happy throughout their studies. One of the most famous and impressive sites is the Terracotta Warriors, which were made to be buried with the First Emperor Qin Shihuang, so they could serve him in the afterlife. Universities in Xi’an include Xi'an Jiaotong University, Northwestern Polytechnical University, Northwest University, and Xian International Studies University, all of which have focused on establishing international relations with other institutions worldwide. The hometown of Confucius, the Shandong Province in eastern China, where you’ll find student cities such as Jinan and Qingdao, now has a combined population of 99 million. There’s plenty going on all year round, including festivals, opera, arts and crafts. 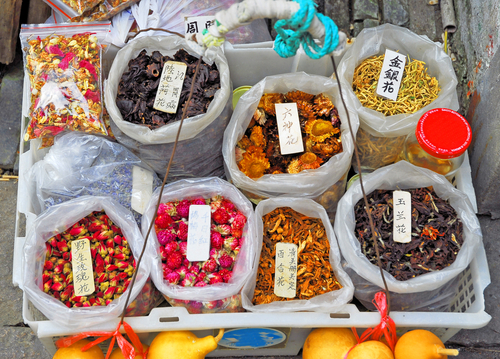 The Shandong style of cuisine is also generally accepted as the most popular in China. 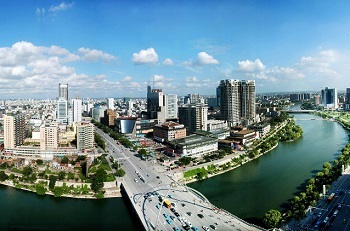 Universities in Shandong include Shandong University, one of the largest in China. 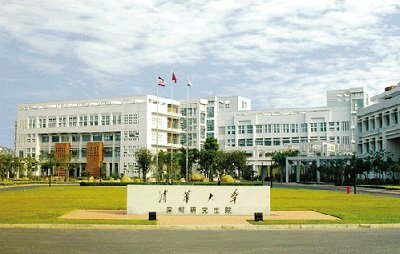 Others are the Ocean University of China, Shandong Jianzhu University, Shandong Normal University and the University of Jinan. Inevitably for an economy that is growing so quickly, the cost of living in China is not quite as cheap as it used to be. But tuition fees are relatively low, around US$2,000-4,000 depending on the university and study level. And the cost of living in Shanghai, China’s most expensive city, is estimated to be roughly half that of New York (source: Numbeo). To apply for a place at a university in China, international students can use the centralized CUCAS (China’s University and College Admission System) website, or apply directly to the university. 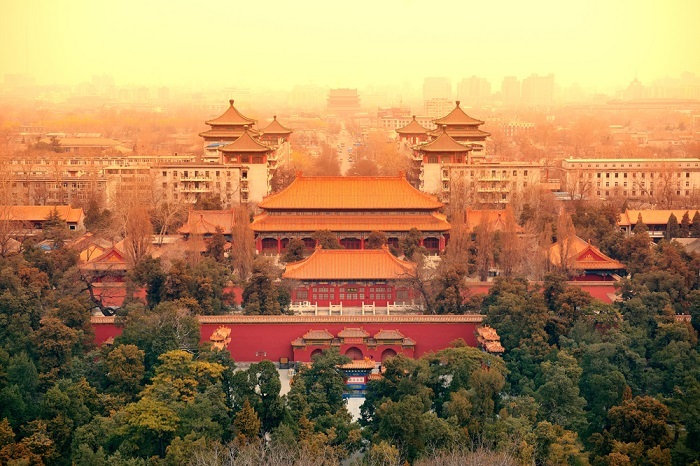 International students can also choose to apply for a Chinese Government Scholarship Program, and will find information about this on the CUCAS site. After being offered a place at a Chinese university, you’ll need to head to your local Chinese embassy, and apply for a visa appropriate for your length of stay. Chinese visa requirements state that for a stay of six months or more, you will need a study visa (or X1 visa). For less than six months, an X2 visa will do. If you do not receive your admission package in time, you may be able to apply for a tourist visa (L-visa) and convert this to a student visa when you arrive. 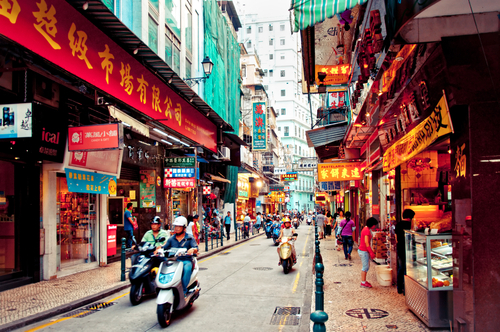 Major languages in China include Cantonese, Hokkien and of course Mandarin (also known as Putonghua) – which is the world’s largest language by number of speakers. Given China’s growing stature on the world stage, it is obviously going to enhance your employability if you know your way around Mandarin. However, don’t worry if it seems like a tall order to study in a language that can seem completely opaque for the non-speaker. Many universities in China offer courses taught in English, and you’ll also find that many Chinese people speak English. If you choose to study in China in English, you won’t need to prove your fluency in Mandarin, but you may need to submit the results of a test of English proficiency such as IELTS or TOEFL. If you decide that maybe you want to tackle a course in the native tongue, you will need to provide adequate Hanyu Shuiping Kaoshi (HSK – Chinese proficiency test) results. You will usually need to reach level 3-8 (there are a total of 11), depending on your university and course. There are test centers around the world, so you shouldn’t have to travel too far. And there’s always the option of doing an intensive language course in China, which will also help you to get to grips with the country itself.